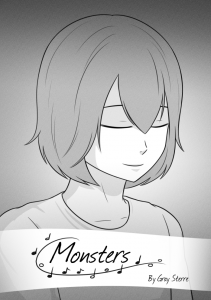 The story of a girl that sings to keep monsters away. 25 pages, A5 sized. Staple-bound.